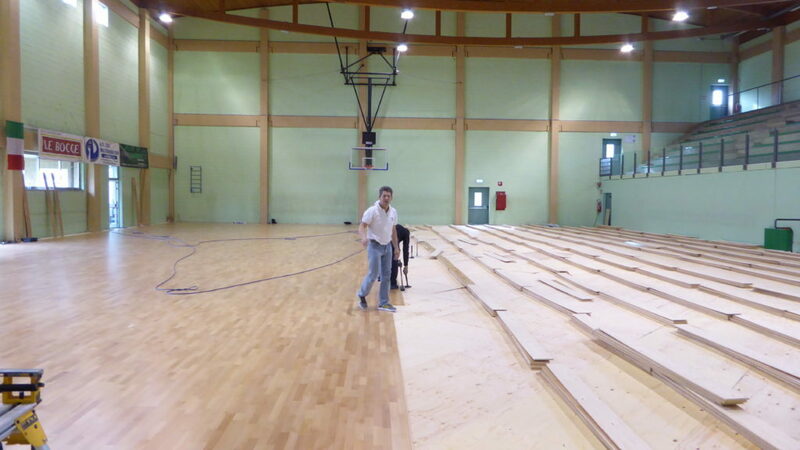 “The end of all pvc flooring …” said desolately someone during the removal operations of the old synthetic floor in the sports hall of Erba. 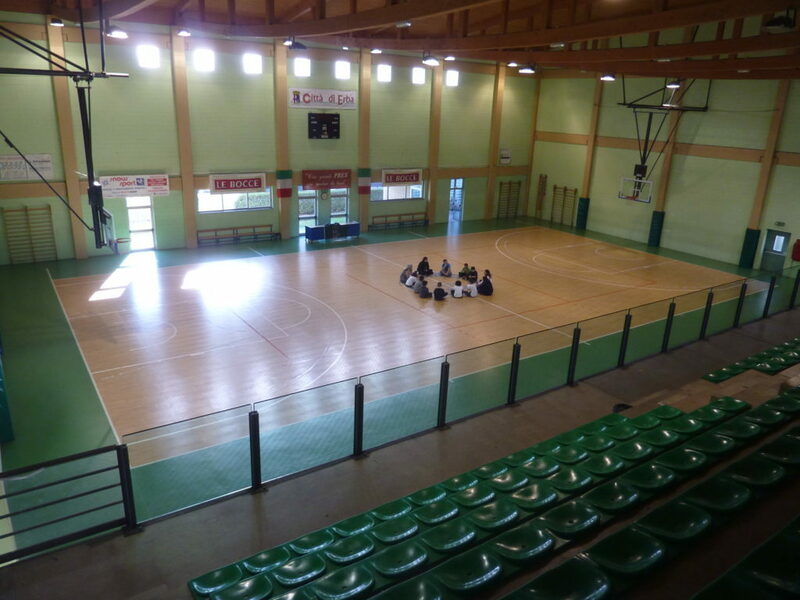 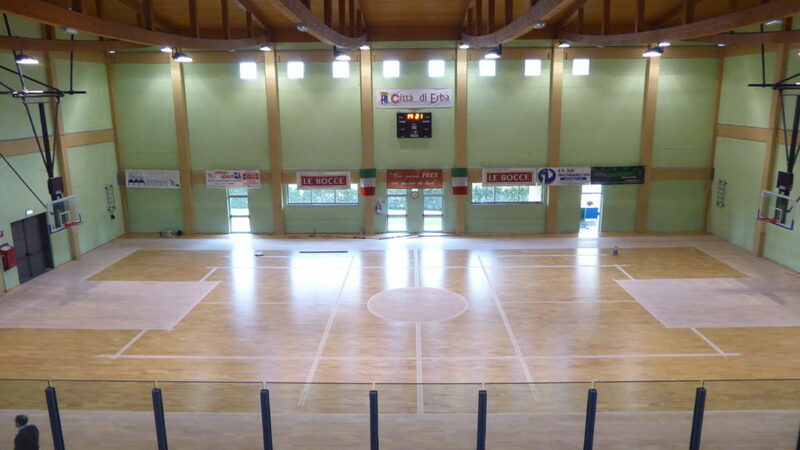 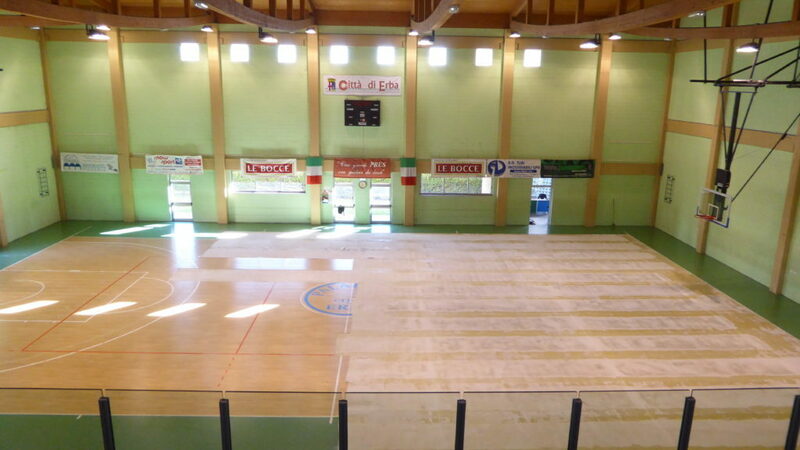 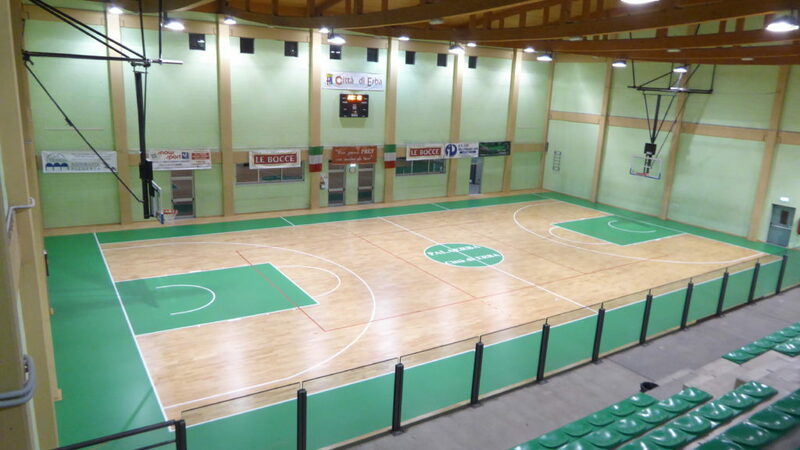 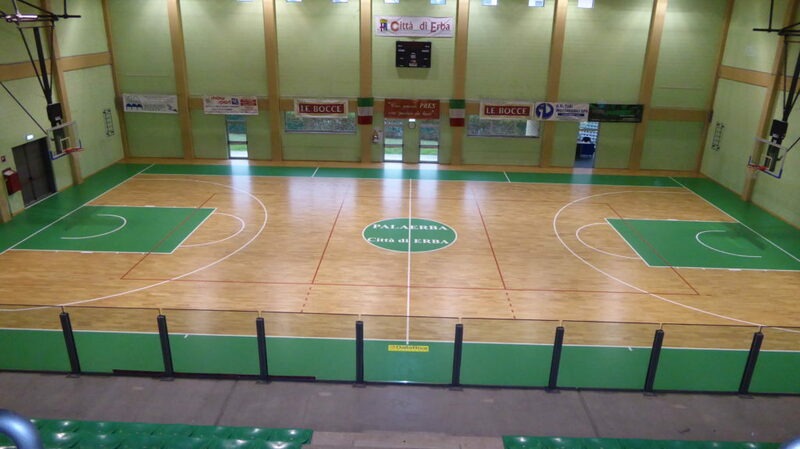 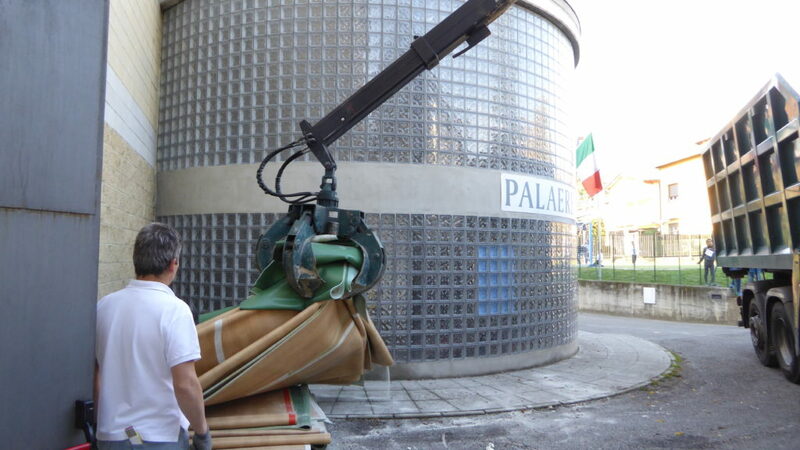 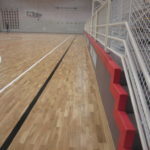 It happens frequently, indeed, that Dalla Riva Sportfloors is called to perform replacements operations of the resilient surface of a gym; often, the company of Montebelluna, proceeds with the overlap of the sports parquet (EN 13501 certificate) that avoids the costs of removal and disposal of the synthetic material in storage. 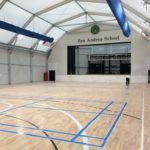 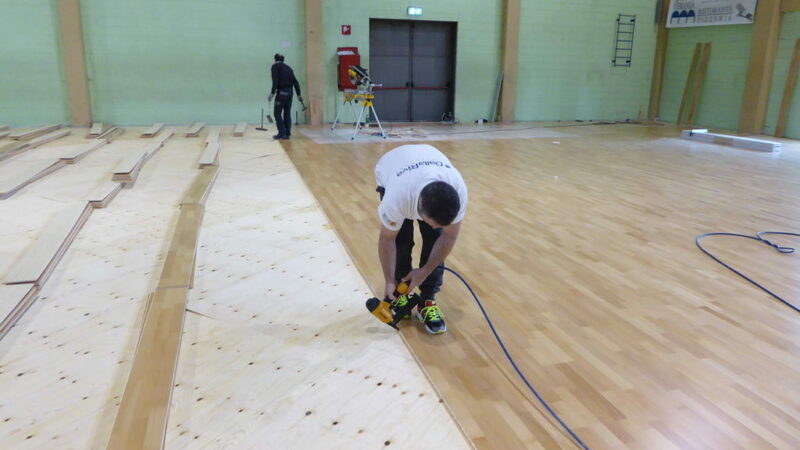 In the case of the sports facility in the province of Como, DR technicians have opted for the total removal of the thick PVC 6 mm to completely replace it with a beautiful parquet pattern Playwood 4 in beech perfectly suitable for floors with radiant heating as presented this circumstance. 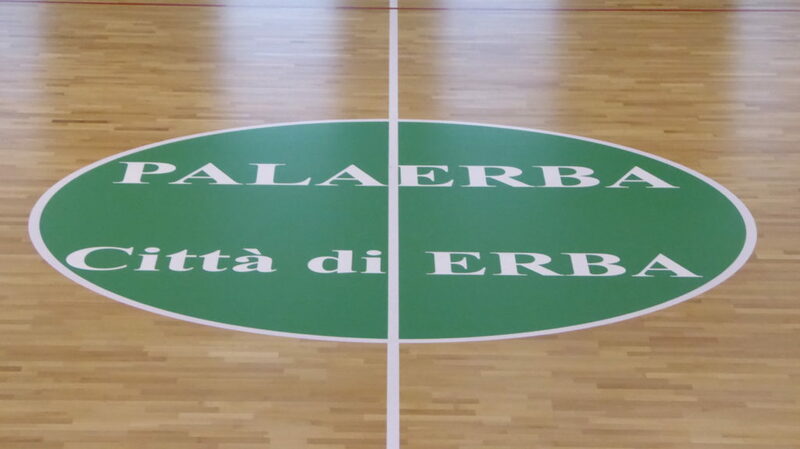 The new field of play has been customized by Dalla Riva with tracings for basketball and volleyball, green coloring for areas with the words “PalaErba – City di Erba” for the center circle.